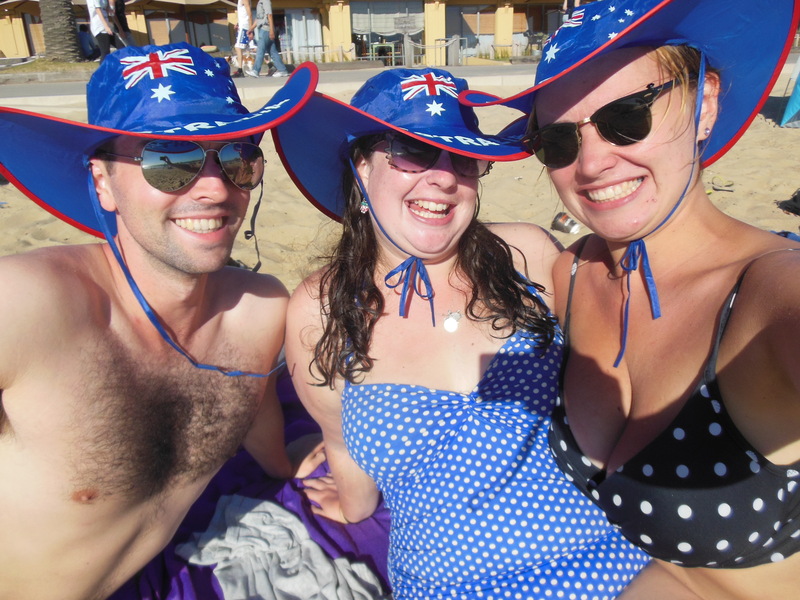 It was Australia day here yesterday (Sunday 26th Jan) to commemorate the 1788 landing of the first fleet of British ships on Aussie soil. 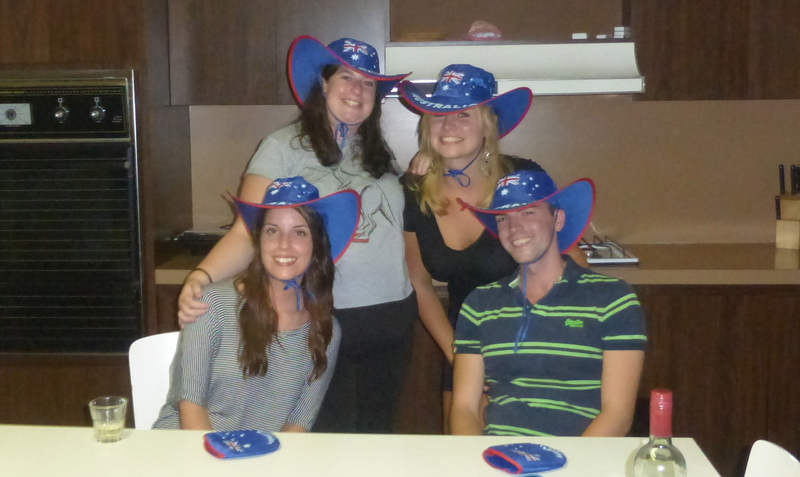 On Friday at work they bought us pies and lamington cake, both so good! Today it’s a bank holiday (monday) and lots of local celebrations. 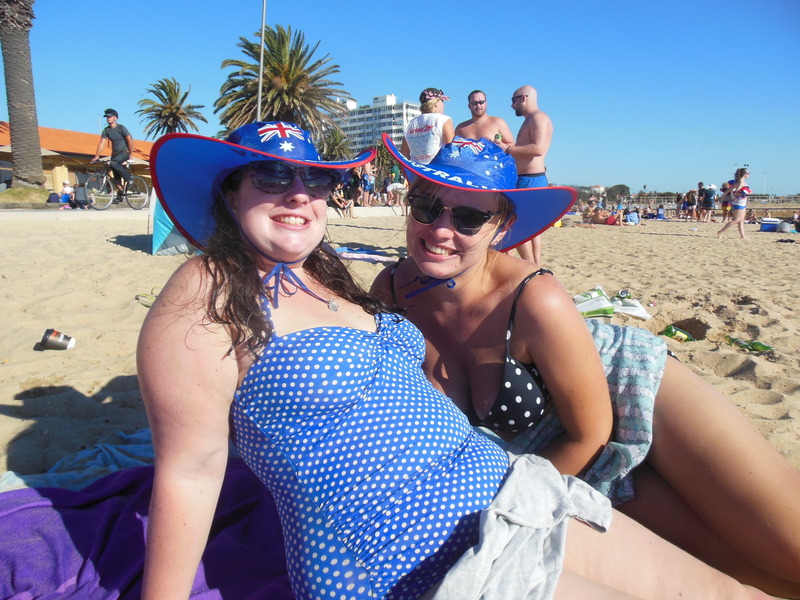 We spent the day on St. Kilda beach, having a few drinks and enjoying the sun and sea! 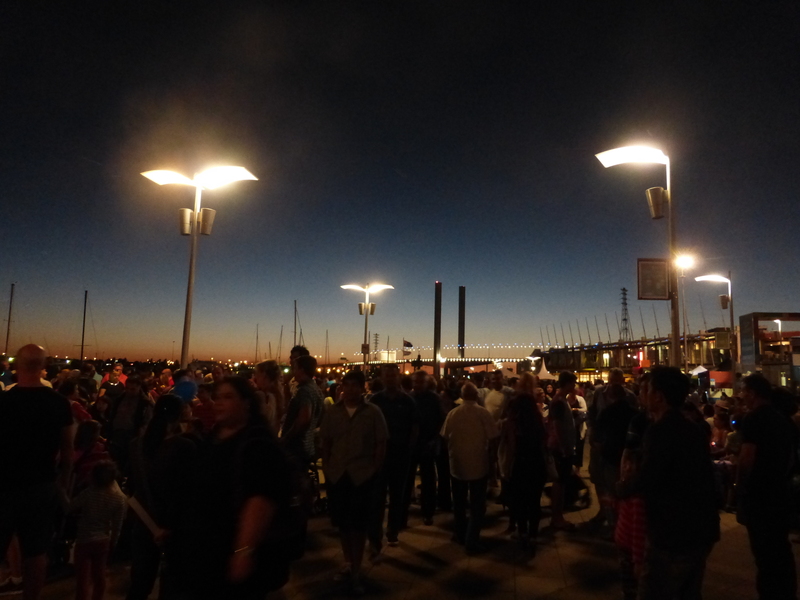 In the evening we headed to the docklands for the night market (food and crafts) and fireworks. 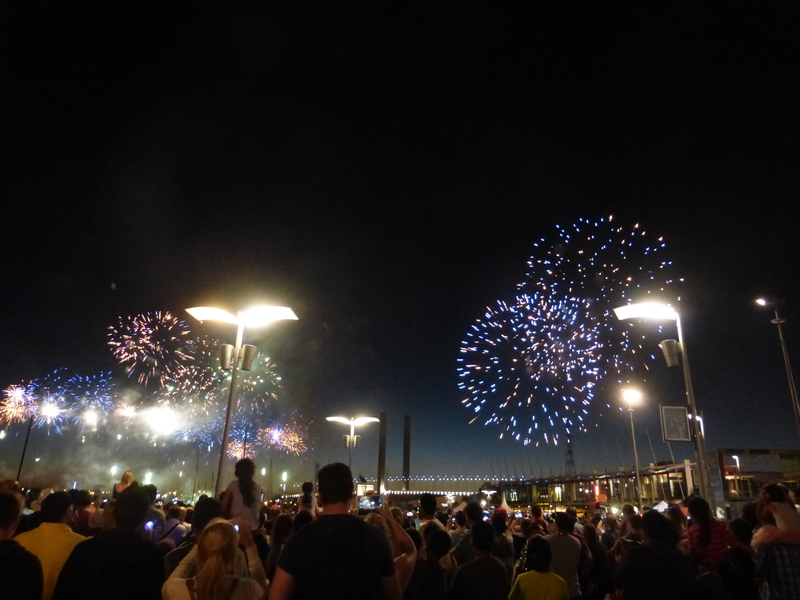 I was really impressed with the fireworks, they went on for 15 minutes and were very good. After we headed to Federation square to see the last of the Australian Open tennis and enjoy our lord of the fries dinner. 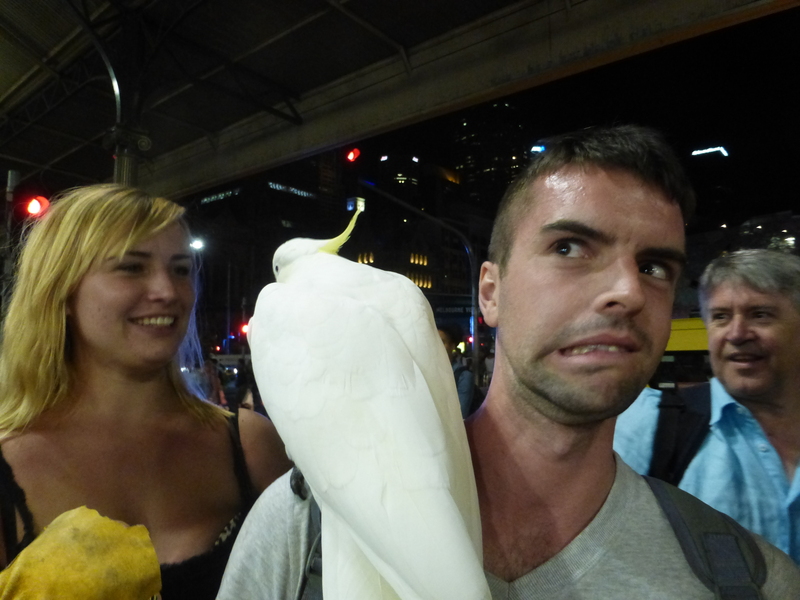 Whilst queueing for our food a guy put a cockatoo on Pauls’ shoulder, as you do. Also on the train home we saw a guy pulling a rabbit home in a wheely case too. 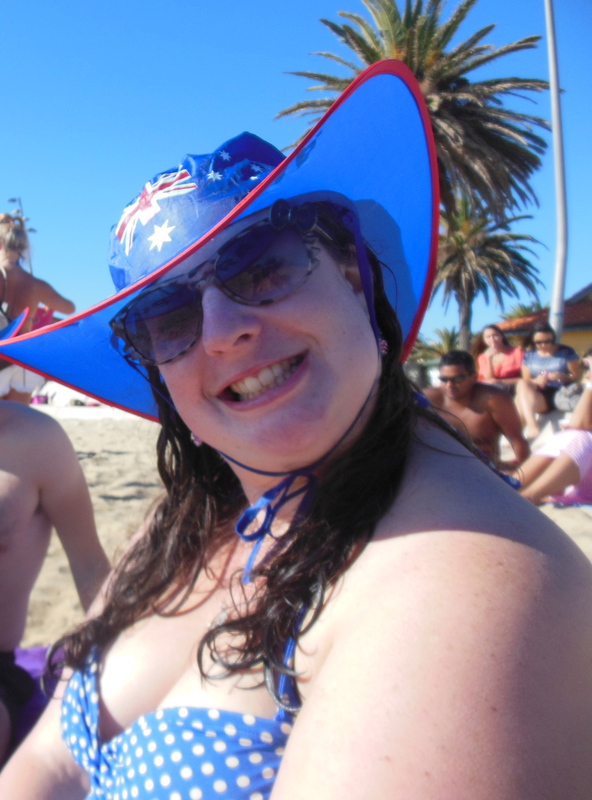 Not as crazy as Thailand but a fab weekend!